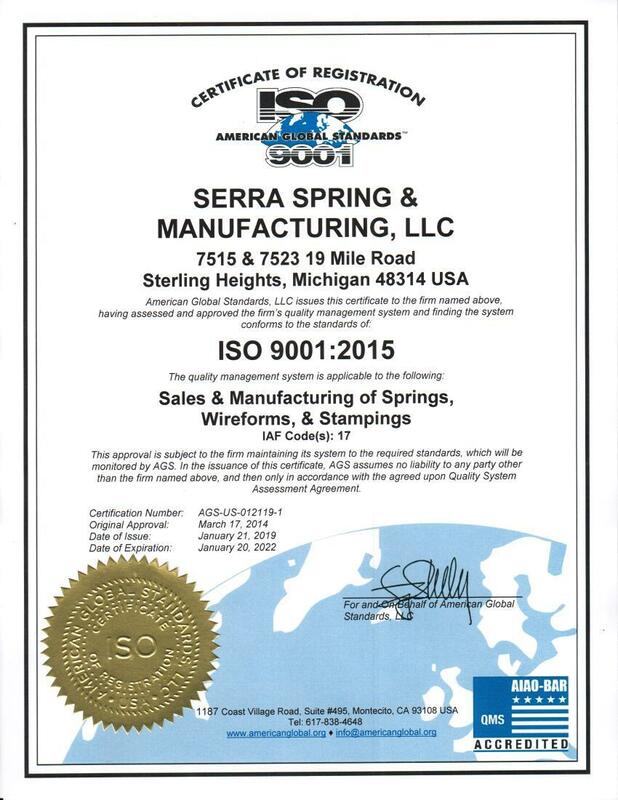 Serra Spring & Manufacturing is ISO 9001 Certified and Minority Woman Owned Certified. Our objective is to provide products and services which conform to or exceed our customer’s requirements and/or specifications. Providing end-to-end manufacturing solutions of superior quality, from prototyping to small runs to mass production. Providing high quality parts and components at very competitive prices. Providing industry best delivery for all orders.